Officially formed in 1987, the founding of the BJRL was the inspiration of the University of Utah’s Department of Orthopaedics. Since that time, it has grown into a nationally and internationally recognized research program. The BJRL is part of the Veteran’s Administration and Department of Orthopaedics University of Utah School of Medicine Sponsored Program. 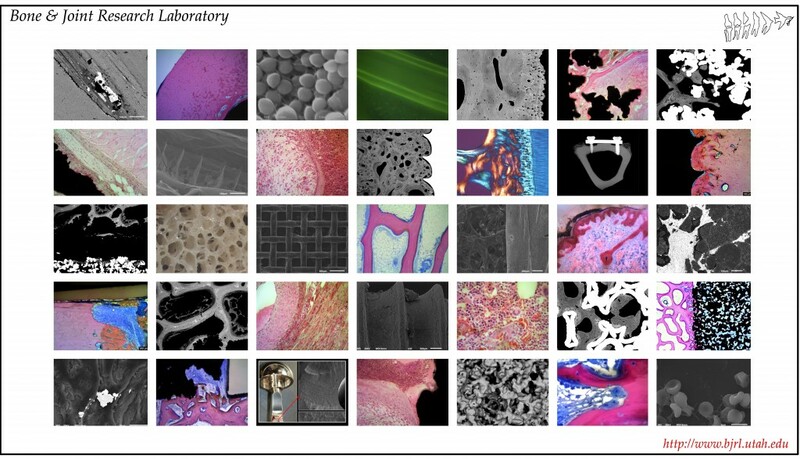 Our research teams develop and assess implant design, biomaterials, conduct implant tissue interface analysis and perform various types of histology for bone and other tissues. The BJRL team also performs studies on implant retrievals to assess performance and failure analysis of various total knee and hip replacements. Most recently our team has expanded their interests into studying coatings on implants for drug delivery. This has led to the development of lab capabilities into the field of microbiology and other related fields such as phage research.